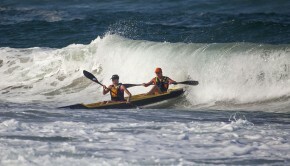 A break in the recent large surf conditions had participants excited shortly before the start of the encounter however as the race’s start time drew nearer a testing break developed and saw many thrown from their skis both on their way out at the start or coming back in through the surf at the finish. 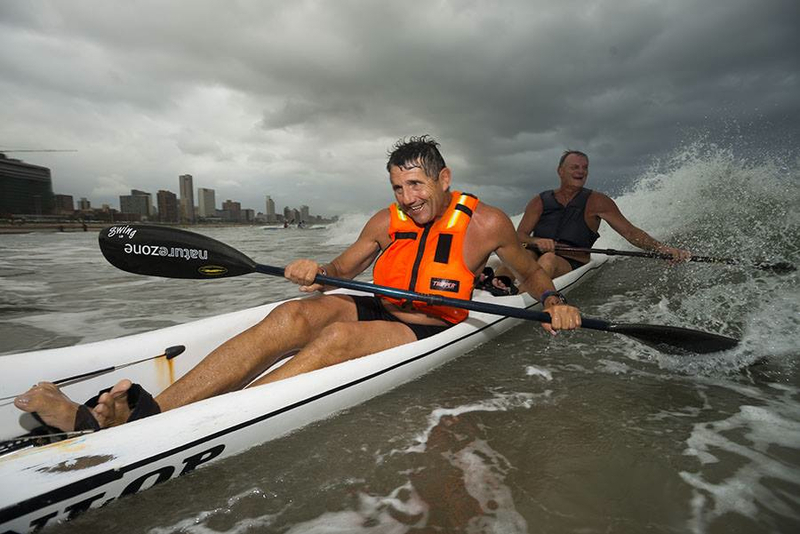 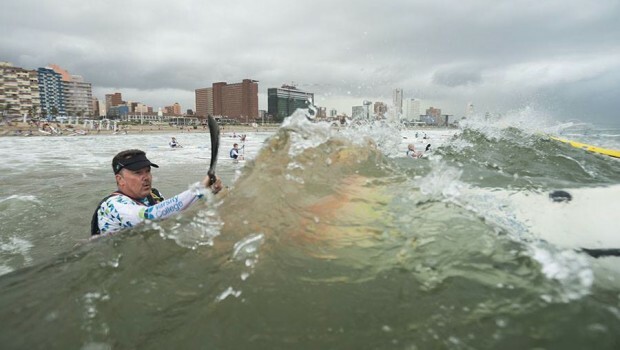 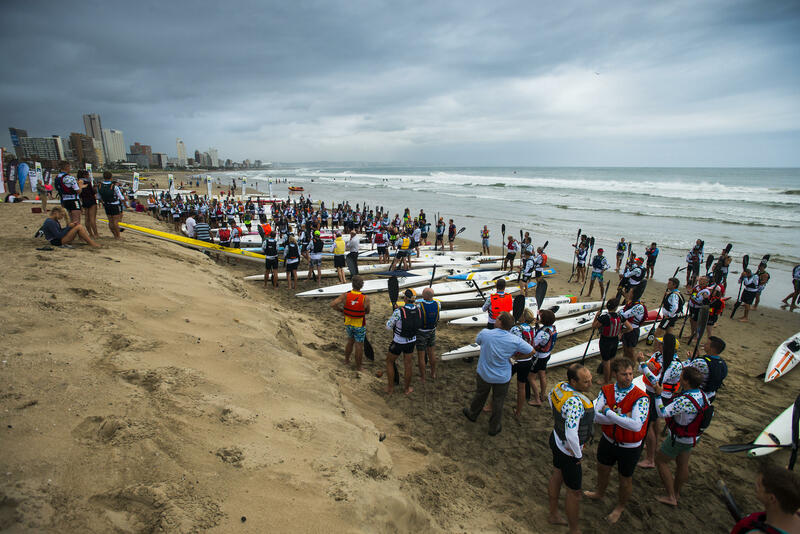 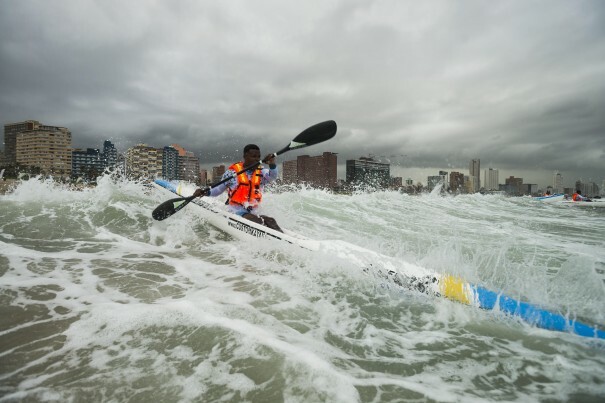 The challenging conditions however were far from enough to dampen the spirits of both those in the water and on the beach and there were smiles aplenty on the beach afterwards, the return of Durban’s surfski season visibly welcomed by all. 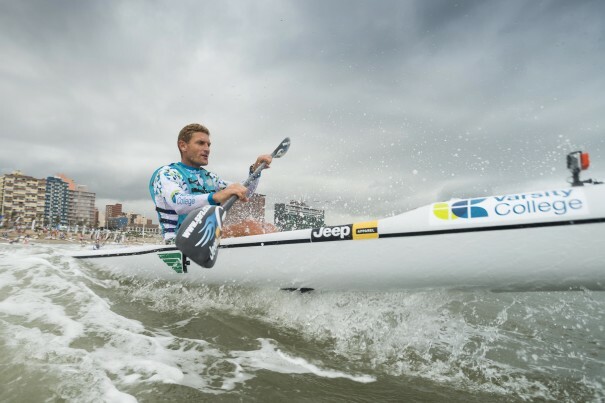 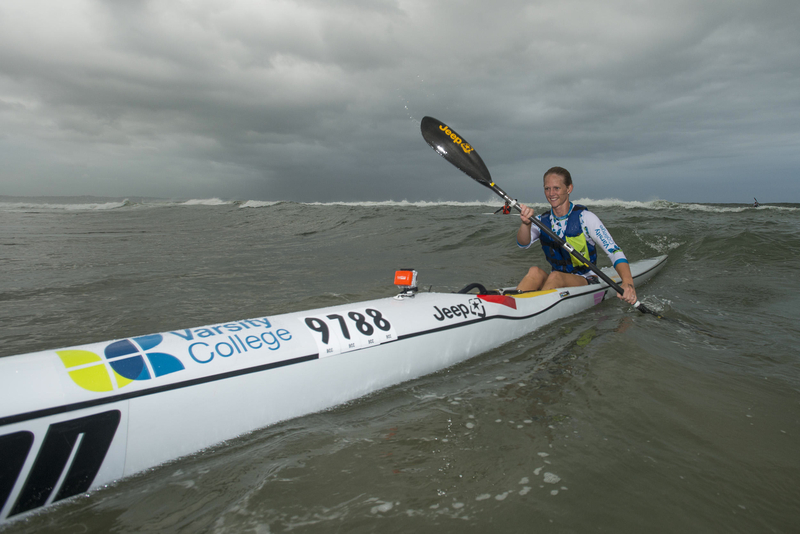 I was really impressed by the number of participants but the series organiser and Team Jeep/Varsity College athlete Barry Lewin thinks the number of participants will increase even more in the next coming races. 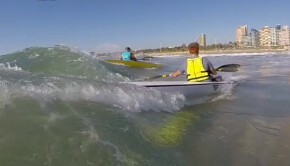 Do not forget to check out this cool video from Race 1 in the Varsity College Marine Surfski Series. 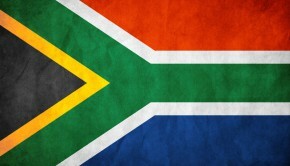 Great production!